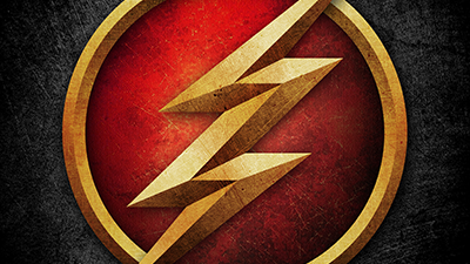 The Flash returns from its winter hiatus with a rather subdued episode that at times plays more like a presentation on the topic of superhero ethics than a fully-realized hour of the show. One reason it feels a little off is that it’s strangely underpopulated; we know Joe is out of the picture because Jesse L. Martin isn’t available, which can’t be helped (apparently Joe is in Tibet), but Ralph is also missing this week and Barry is out of commission for most of the episode. The Big Bad is absent as well, but that’s much less of a problem. “The Flash & The Furious” (and how has that title not been used before?) does nothing to alter my opinion that Cicada should have been dispensed with in the last episode prior to the “Elseworlds” crossover. Everything was in place for that to happen, but he got away and has been laying low since, so we can only hope the writers have some plan for him that makes keeping him around worthwhile. It’s not as if his absence leaves a hole in the season, especially now that Eobard Thawne has been reintroduced. Whether Thawne is still a villain or not, however, is an open question at this point. Filling the gap this week is Silver Ghost, another villain gifted with a piece of meta-tech—in this case a supercharged key fob that allows her take control of any vehicle. 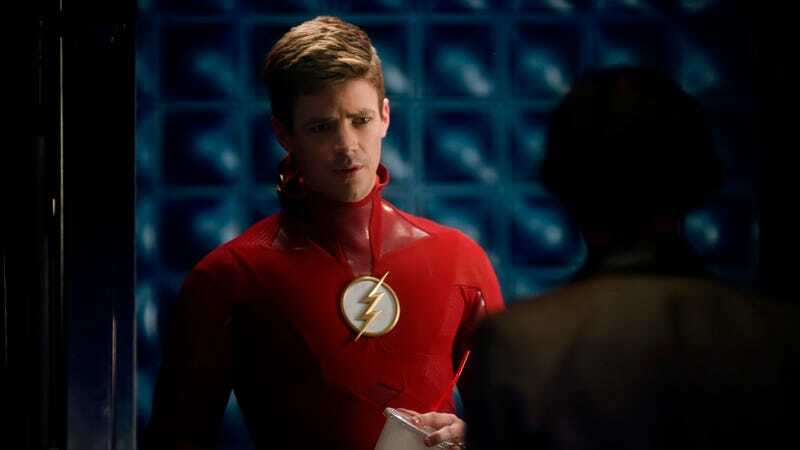 In one of the more ridiculous plot turns of the entire series, Barry leaves a trial where he’s scheduled to testify as a CSI tech in order to chase down a stolen Lamborghini. Yes, superheroes are now being called upon to deal with luxury auto theft; in fact, both Barry and Nora take off after the car, because this is clearly the most heinous crime in progress in Central City at the moment and its recovery is well worth jeopardizing the conviction of a dangerous meta-human. Then again, maybe said meta-human—Joss Jackam, the Weather Witch—isn’t so dangerous after all. Cecile’s super-empathy is a counterintuitive gift for a prosecutor to have, although it should probably be a requirement. Still, it’s a little extreme for Cecile to completely sabotage the trial and undercut Nora’s testimony (she’s standing in for Barry, who’s been zapped into a state of perpetual phasing by the dark matter of the stolen car) in hopes of getting Joss a lenient sentence, especially when it turns out that her remorse is genuine and she wants to be punished for her crimes. Yes, it’s another grittily realistic look at the criminal justice system from the people who brought you the trial of Barry Allen! This is all a set-up for Nora to wrestle with the question of whether bad guys can ever be good again. This is on her mind since she found out that Thawne, who taught her how to time travel so she could meet her father, is also the person who killed her grandmother. Thawne claims to be a changed man, but we should probably all take a wait-and-see attitude on that. Nora certainly isn’t ready to trust him, and she transfers that feeling onto Joss, who insists she’s not the same person who almost killed all those people with lightning. It takes a parental pep talk to get Nora to see the light, as Barry tells her the inspirational tale of Leonard Snart, villain-turned-legend. The other ethical matter under consideration this week is the notion of a cure for meta-humanism. Cisco is all in favor of it following his brush with death; he’s eager to be rid of his Vibe powers so he can be a normal guy again. Caitlin and Killer Frost are not on board with the idea. This is a long-standing comic book trope with metaphorical implications, most often explored in the X-Men comics. It plays as less ethically thorny here, since the meta-humans weren’t born with their powers—they were thrust upon them without their consent. That being the case, shouldn’t a cure at least be an option? Caitlin makes it clear that they should never use it on anyone who doesn’t want it, but I guess you could argue that once the genie is out of the bottle, someone more ethically challenged could put it to bad use. When a show returns from hiatus, it’s always nice if it grabs you by the lapels and pulls you back into its world, reminding you right away why you missed it while it was gone. I can’t say “The Flash & The Furious” did that. If any episode ever failed to live up to its title, this was it. Sherloque has suspicions about Nora, which are only intensified when he learns all files on her have been wiped from Gideon’s memory. While Barry spends most of the hour stuck in a pipeline cell, he passes the time reading Uncaged Desire, written by Mick Rory under a pen name. I gather this is a running gag on Legends Of Tomorrow, but I’m still two seasons behind on that show. Not a whole lot of laughs this week, but there was one gag I enjoyed: the emoji touchscreen controlling the $24 million prototype car.